Product prices and availability are accurate as of 2019-04-23 06:05:39 UTC and are subject to change. Any price and availability information displayed on http://www.amazon.com/ at the time of purchase will apply to the purchase of this product. Fruit of the loom coolblend boy shorts are just what you need to help you stay cool and fresh all day long. Cool blend fabric featuring panels for enhanced wicking. Cooling leg and waistbands. 8 Assorted colors. 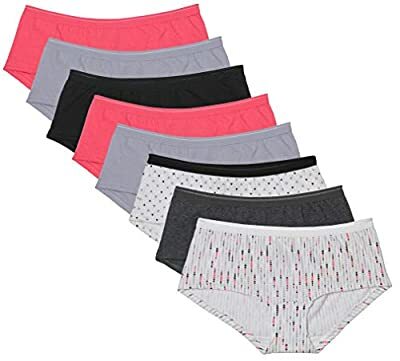 54% Cotton, 40% Polyester, 6% Spandex Cool blend fabric featuring panels for enhanced wicking Cooling leg and waistbands Keeps you cool and comfortable Machine Wash. Tag free.